Freebie alert! 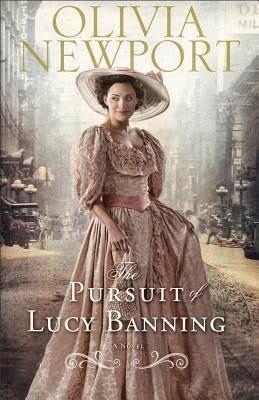 Download the e-book of The Pursuit of Lucy Banning by Olivia Newport for free! 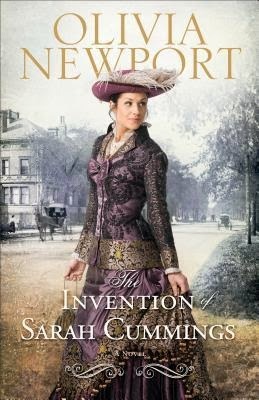 Sarah Cummings has one goal in life--to break into Chicago's high society. Desperate to stop serving dinner and to start eating at society tables, Sarah alters cast-off gowns from the wealthy Banning women to create lustrous, flattering dresses of her own. On a whim at a chance meeting, she presents herself as Serena Cuthbert, weaving a fictitious past to go with her fictitious name. But as she gets closer to Simon Tewell, the director of St. Andrew's Orphanage, Sarah finds that she must choose between the life she has and the life she dreams of. Will she sacrifice love to continue her pretense? Or can Simon show her that sometimes you don't have to pretend for dreams to come true? The main character Sarah was materialistic, self-absorbed, deceptive, judgmental, and thoughtless. I'm sure we all can be at times, but it didn't make her much of a heroine, since I was rooting the whole time for her to be discovered and wanted to warn Simon away from her. Her change of heart would have been more redemptive had it not happened after her other options ran out. Too little, too late.